FUNDEPS together with a group of neighbors and members of the collective “Todos por Nuestros Arroyos” from the town of Alta Gracia, requested participation as third parties interested in the case “El Potrerillo de Larreta Country Club S.A. c. Province of Córdoba – Ordinary “. 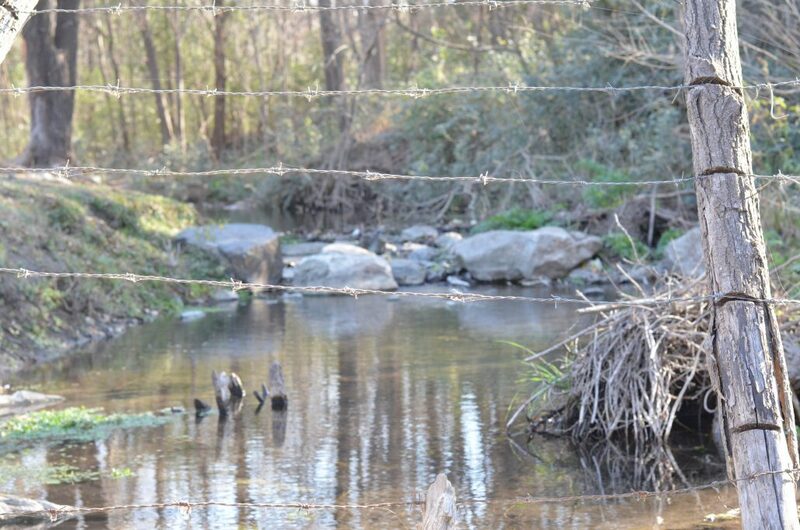 The cause, begun in 2013, discusses the legitimacy of the placement of fences to a public stream, for the exclusive benefit of the country Potrerillo de Larreta, restricting free transit to third parties and the use of it by the entire community . Likewise, the true scope and meaning of the public domain character of the Los Paredones stream is in question. In the ruling of first instance of November 2017, the judge of Alta Gracia Graciela Cerini had resolved “to dismiss the lawsuit filed by THE POTRERILLO DE LARRETA COUNTRY CLUB S.A. against the PROVINCE OF CÓRDOBA as soon as it intends to install wire fences over the Arroyo Los Paredones in the entrance and exit of its property, having to demarcate the limit along the shore line “. However, it then determines that it does not matter to simply authorize the free entry to the watercourse, and orders a series of questions to the Province of Córdoba and the Municipality of Alta Gracia. First, to determine how the public use of the stream will be in the affected area. Secondly, to take the necessary control, security and protection measures to achieve the harmonization of the interests at stake, while maintaining the existing fences. In December of last year, Potrerillo de Larreta appealed the decision, referring the case to the 9th Nomination Chamber of the city of Córdoba, where the parties must express the grievances caused by the first instance decision. In the city of Alta Gracia, the neighbors have been defending and claiming their fundamental rights in different instances and since 2011 the collective “Todos por Nuestros Arroyos” has taken the post. Thus, it has developed numerous activities in favor of the recovery of the public spaces of the streams of Alta Gracia, including Chicamtoltina and its tributaries, Estancia Vieja, Los Paredones and Coacamilin, in this struggle in which owners and real estate ventures began. to wire the margins of different stretches of the streams. Faced with the ambiguity of the ruling, the continuity of the fences over the stream and the passivity of the provincial and municipal authorities, the neighbors of Alta Gracia together with FUNDEPS decided to intervene in the trial in order to guarantee the respect of the rights of collective incidence over the individual rights wielded by the country and reject the legitimacy of the fences while violating, among others, the right to free transit and the use, enjoyment and use of public domain waters.